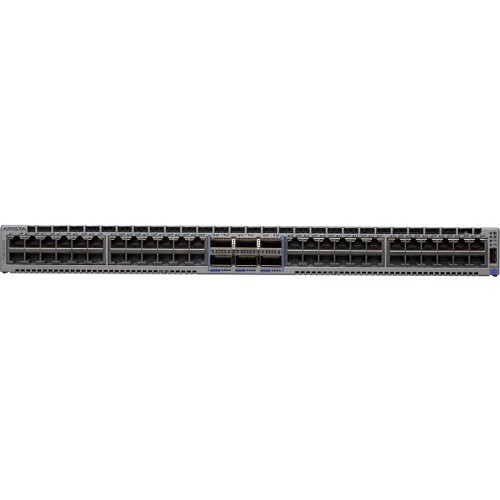 The Arista 7160 Series are key components of the Arista 7000 Series portfolio of data center switches. Highly dynamic cloud data center networks continue to evolve with the introduction of new protocols and server technologies such as containers bringing with them ever increasing bandwidth demands, accelerating the need for dense 25 and 100 Gigabit Ethernet switching in both leaf and spine tiers of modern networks. The Arista 7160 Series are purpose built fixed configuration 10/25GbE and 100GbE systems built for the highest performance environments, and to meet the needs of the largest scale data centers. They combine scalable L2 and L3 resources and high density with a highly programmable and customizable switch architecture. Simple software updates allow reconfiguration of packet parsing, lookups, traffic scheduling, packet modification and traffic monitoring without re- engineering of the switch. The 7160 can be deployed in a range of open networking solutions including large scale layer 2 and layer 3 cloud designs, overlay networks, virtualized or traditional enterprise data center networks. 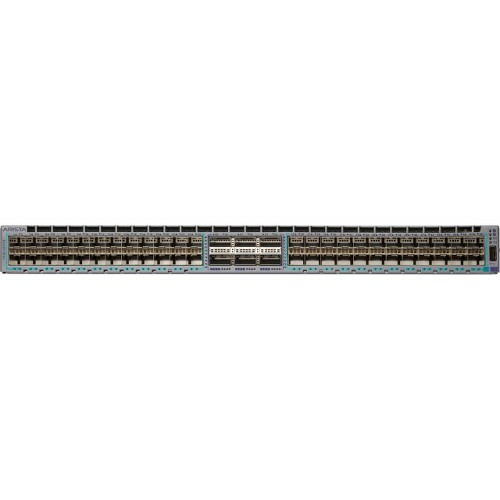 The 7160 Series are available in a range of models with a choice of 10GBASE-T and 25GbE SFP with 40/100GbE QSFP uplinks and a 40/100GbE system that offers up to 32 ports of wire speed 100GbE in a 1RU system. The wide range of interfaces and density choice provides deployment flexibility. 25GbE interfaces with SFP and 100GbE with QSFP on the 7160 Series enables flexible choices of port speed providing unparalleled flexibility and the ability to seamlessly transition data centers to the next generation of Ethernet performance. The 7160 Series provide industry leading power efficiency with airflow choices for back to front, or front to back. Combined with Arista EOS the 7160 Series delivers advanced features for cloud, big data, virtualized and traditional designs. All Arista products including the 7160 Series runs the same Arista EOS software,binary image simplifying network administration with a single standard across allswitches. Arista EOS is a modular switch operating system with a unique statesharing architecture that cleanly separates switch state from protocol processingand application logic. Built on top of a standard Linux kernel, all EOS processes runin their own protected memory space and exchange state through an in-memorydatabase. This multi-process state sharing architecture provides the foundation forin-service-software updates and self-healing resiliency together with statefulswitchover without the loss of data plane forwarding. Arista EOS enables advanced monitoring and automation capabilities such as ZeroTouch Provisioning, LANZ, VM Tracer and Linux based tools to be run natively on the switch. Arista Software Defined Cloud Networking (SDCN), combines the principles that have made cloud computing the unstoppable force that it is: automation, self service provisioning, and linear scaling of both performance and economics coupled with the trend in Software Defined Networking that delivers: network virtualization, custom programmability, simplified architectures, and lower capital expenditure. This combination creates a best-in-class software foundation for maximizing the value of the network to both the enterprise and service provider data center. A new architecture for the most mission-critical location within the IT infrastructure that simplifies management and provisioning, speeds up service delivery, lowers costs and creates opportunities for competitive differentiation, while putting control and visibility back in the hands of the network and systems administrators.